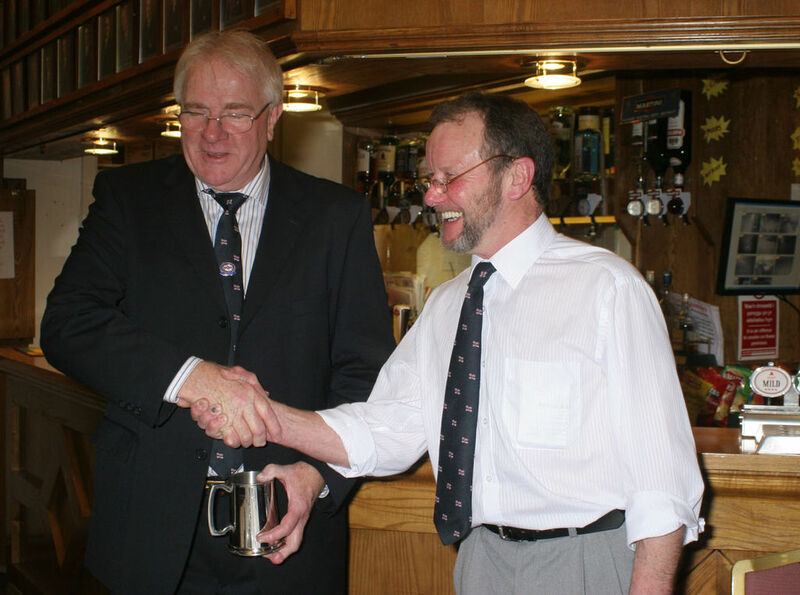 Gordon Williams retirement – Gordon Williams (L) being presented with an inscribed tankard from Coxswain Peter Robinson, on the occasion of Gordon’s retirement off the crew . 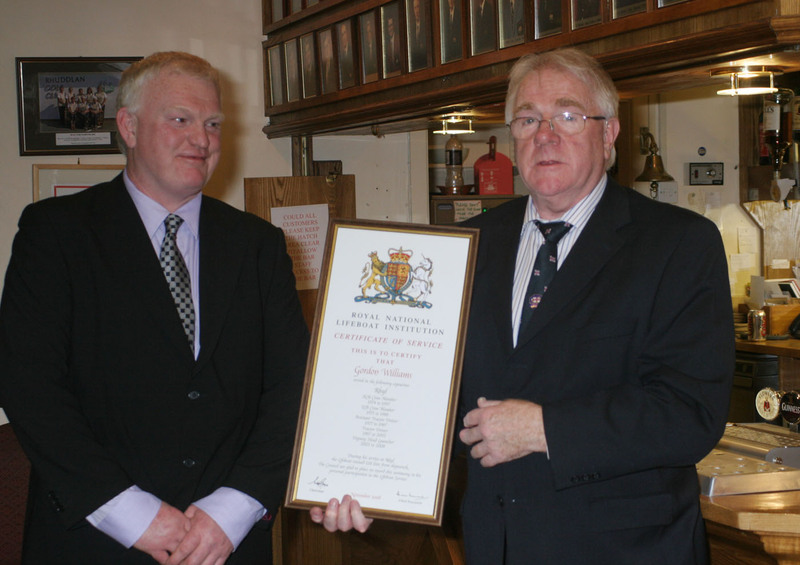 Gordon Williams’ – retirement RNLI Training Divisional Inspector Andrew Hurley (L) presenting Gordon Williams with his retirement vellum certificate after reaching the compulsory retirement age for crew. 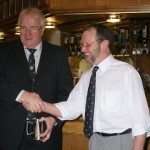 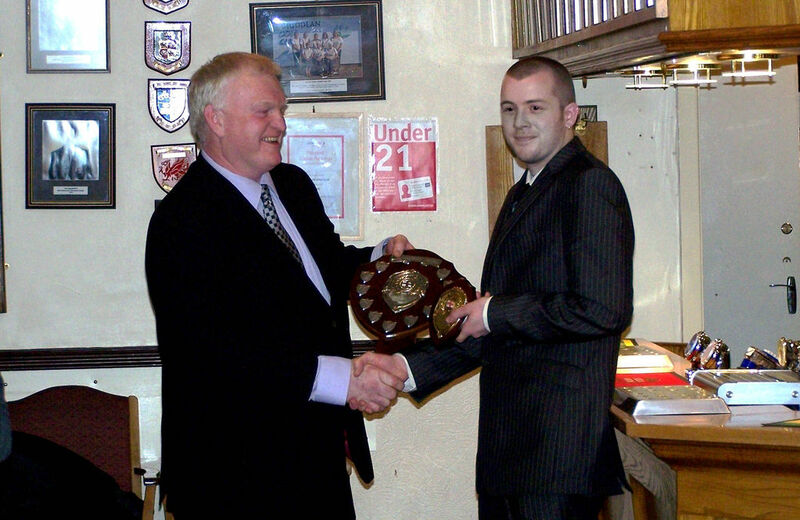 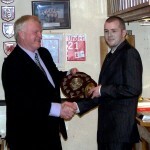 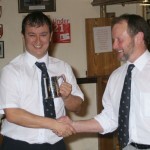 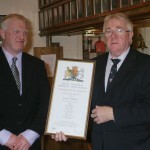 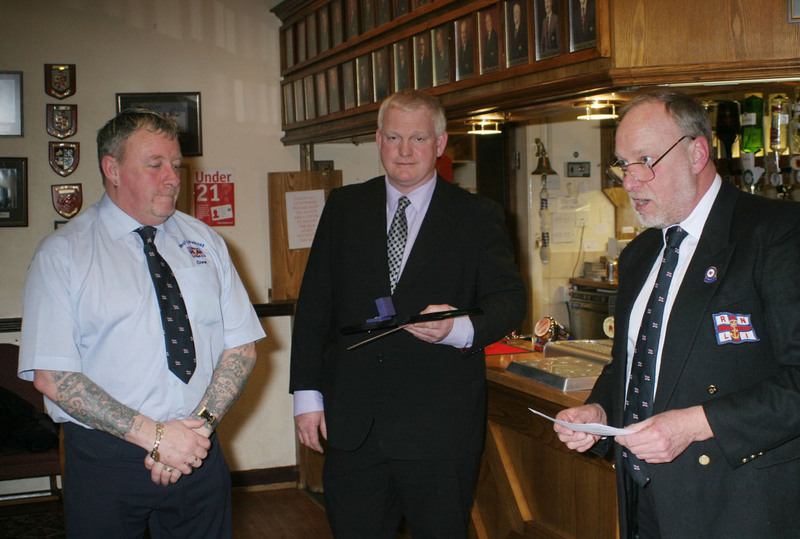 Best Crew Member – Colin Jones (R) receiving the Benjamin Jones award for the crew member who has advanced and been an ambassador for the station over 2008. 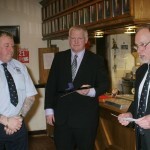 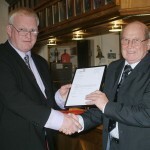 He is receiving the award from RNLI Training Inspector Andrew Hurley. 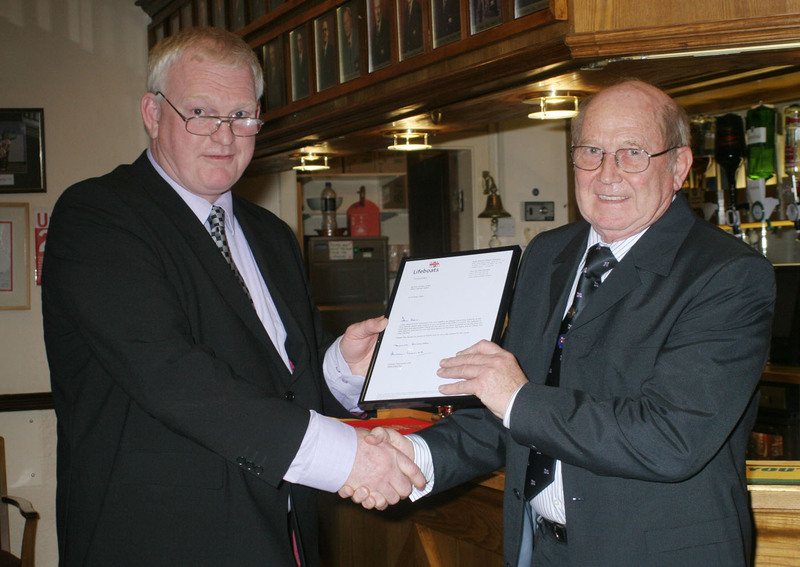 Retiring Deputy Launching Authority – RNLI Training Divisional Inspector Andrew Hurley (L) presenting a certificate to Don Archer-Jones on reaching the retirement age for Launching Authorities. 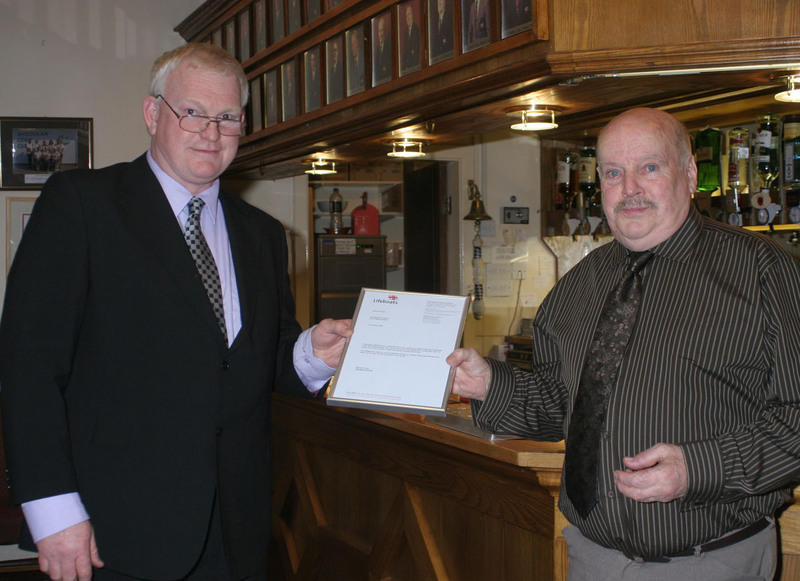 Retiring Lifeboat Operations Manager – RNLI Training Divisional Inspector Andrew Hurley (L) giving Ray Coltman a certificate on his giving up the Lifeboat Operations Manager’s role on reaching retirement age. 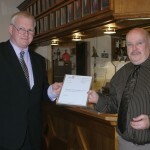 Ray will remain as boathouse manager. 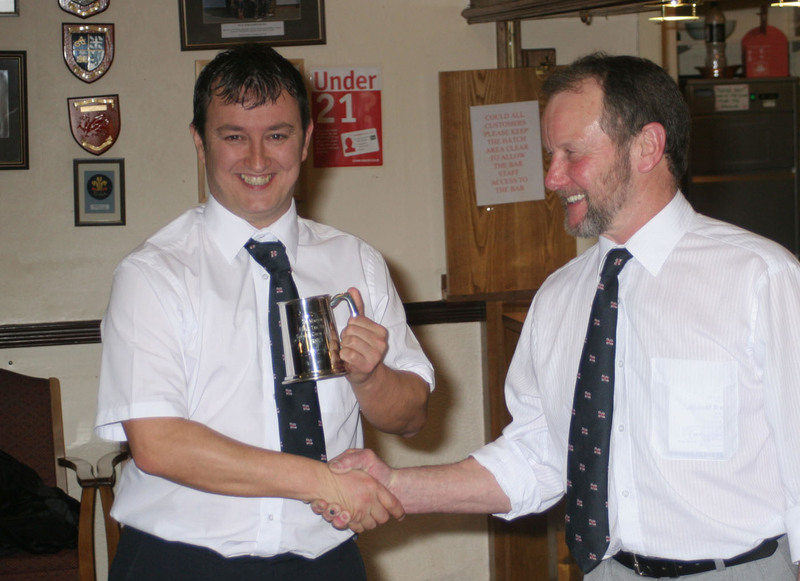 Lifeboat Training Co-ordinator – Martin Jones, 2nd Coxswain/Mechanic, receiving an inscribed tankard from Coxswain Peter Robinson, for all his work getting the crew through training courses and qualifications.